When Texas Attorney General Ken Paxton announced his re-election bid, he highlighted many of his accomplishments from his years in office. What he left out was his indictment on three felony charges. We talk to Texas Observer staff writer Michael Barajas about his case. Then, a homemade political yard sign caught the attention of Texas Agriculture Commissioner Sid Miller. So much so, it was seized by police (11:00). And finally, here in Texas, folks opt to observe Indigenous People’s Day rather than Columbus Day (22:52). 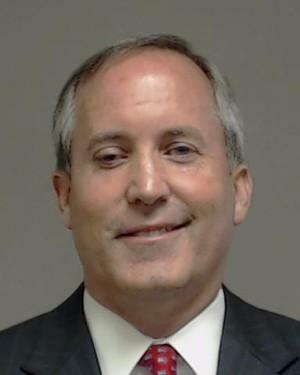 Paxton's three felony indictments came in July 2015 and he continues to say he is innocent of the white collar criminal allegations and he calls his grand jury indictment a "witch hunt" initiated by his political enemies. But despite the criminal charges, there appear to be no visible cracks in Paxton’s Republican base. He faced no challengers in the Republican primary. When a home-made political yard sign caught the attention of Miller, the sign was seized by the local police and the story went viral. It happened in Hamilton, a small town in west of Waco. Police there confiscated the sign painted by resident Marion Stanford who said she made it after watching the latest political storm in Washington D.C. This week, many states opted to observe Indigenous People’s Day, rather than celebrate Columbus Day. But not here in Texas. In this commentary, Texas Public Radio contributor Yvette Benavides offers her review of the book, “Why Indigenous Literature Matters,” by Daniel Heath Justice. Benavides is a professor of creative writing at Our Lady of the Lake University. A group representing 22 recipients of the Deferred Action for Childhood Arrivals program plans to defend it in federal court.